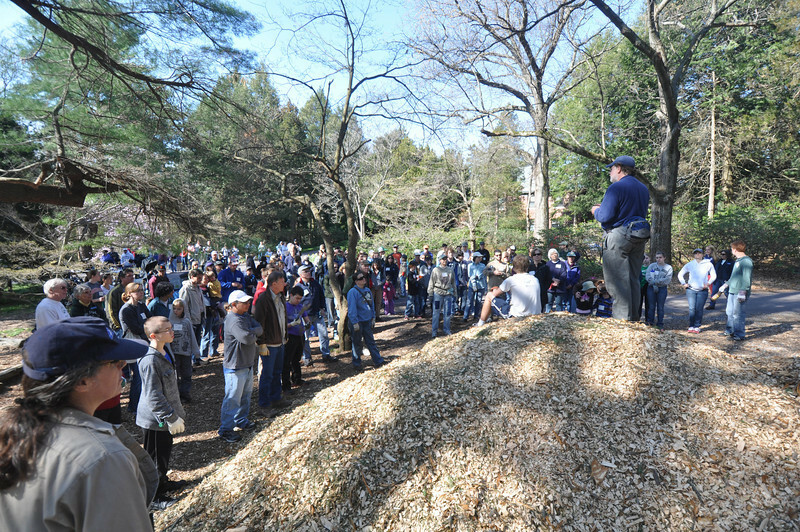 Some volunteers were dispatched from a mountain of woodchips (105 yards total) . . .